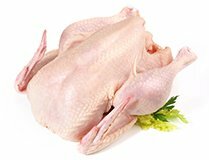 Poultry, being the cheapest form of protein, is a staple diet for families across the world. Australian poultry, represented by primarily chicken, also includes turkey and duck. Australian poultry production is governed through strict regulations to ensure prime quality product. Al-Ghani has partnerships with poultry producers to source a range of products, including leg quarters, whole birds, wings and various cuts.